This "flasher" necklace is from the 1960s. 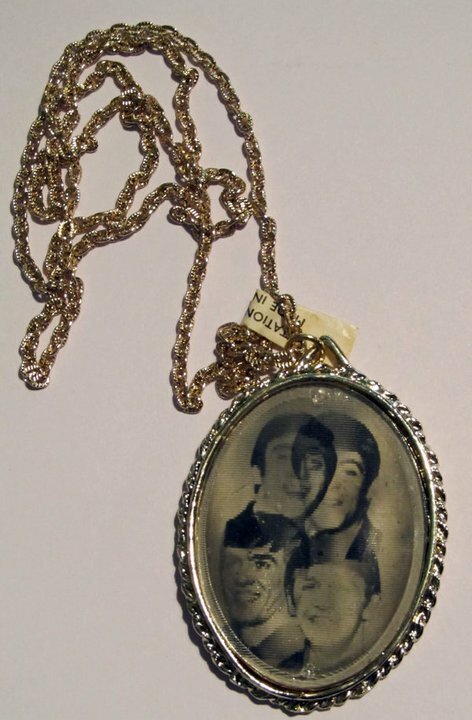 The pendant features an image that alternates from John and Ringo to Paul and George. It carries an estimate of £30-£40. Beetles featured in several of the 1960s jewelry designs. 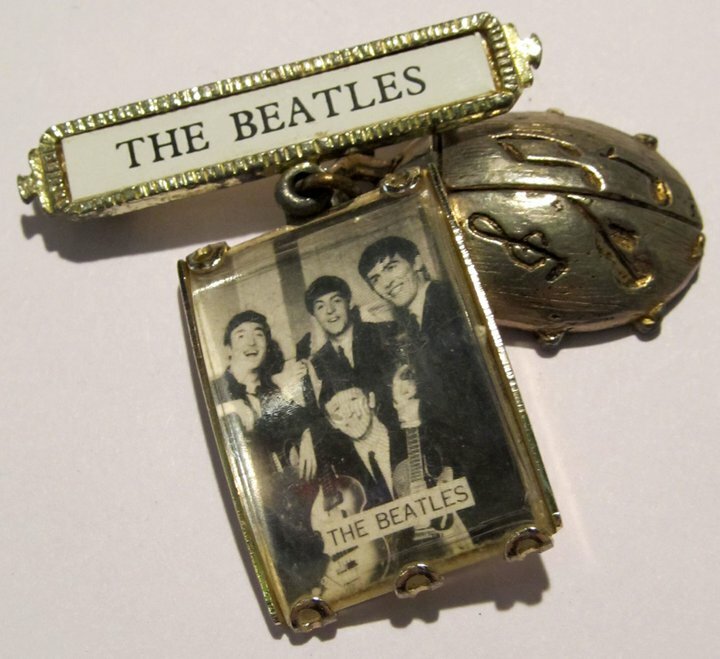 This brooch has a beetle with musical symbols on its back along with a photo on the band both attached to a pin bearing the name The Beatles. This also has an estimate of £30-£40.